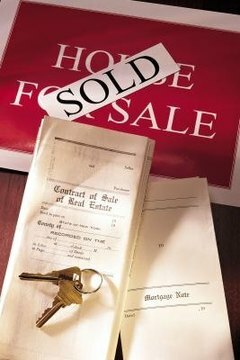 A deed is a legal document necessary for every real estate transaction. Deeds transfer ownership of real estate from one party to another. A deed contains the names of the current owner and the new owner and a legal description of the property, and they may contain a signature of the person transferring the property. Different deeds exist, including grant deeds, quit claim deeds and warranty deeds. However, all deeds require the same basic elements. It is important to draft a legally effective and accurate deed because the doctrine of merger holds that all prior agreements executed prior to the deed merge into the deed. Gather information about the parties, like the grantor and the grantee's full names. The grantor is the party transferring the property to the grantee. In addition, ensure that both parties do not have any aliases or former names, as this may affect establishing a complete chain of title. A title search establishes a chain of title and is a confirmation that the grantor has a transferable interest in the property. Contact the county recorder's office to confirm the property description included on the current deed is the legal description necessary to identify the property. The deed should describe the property with sufficient clarity so that anyone can easily identify the property. Include words of conveyance in the deed. Words of conveyance are necessary because they evidence intent by the grantor to transfer to the grantee all the grantor's interest in the property. For example, California recognizes the word "grant" as an effective word of conveyance for a grant deed. Create a deed. Each state will vary as to precisely what information must be included on a deed, but generally, you can draft a valid deed on any type of paper and no special form is required. However, all states require that the deed be in writing. The writing must include the names of the grantor and the grantee, words of conveyance and a sufficient description of the property. Sign the deed. States will vary according to the necessity of including a grantor's signature acknowledging the transfer, but most states do require some form of acknowledgment if the grantee wants to record the deed. Stock, Elizabeth. "How to Draft a Deed." , https://legalbeagle.com/8681307-draft-deed.html. Accessed 24 April 2019.